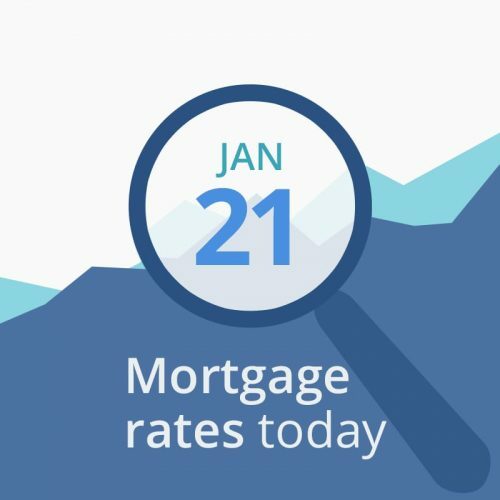 Average mortgage rates today are unchanged from Friday’s because today is Martin Luther King Day and financial markets are closed. Your own lender may be open and may be locking interest rates, but you’ll have to contact it to see if that’s the case. Markets are closed today. These are Friday’s closing numbers, but they did get worse for mortgage rates than the opening data. CNNMoney’s Fear & Greed Index moved up 2 points to a neutral 51 (out of a possible 100). The upward direction of movement is bad for rates. “Greedy” investors push bond prices down (and interest rates up) as they leave the bond market and move into stocks, while “fearful” investors do the opposite. Rates appear to be static, and with the government shutdown, investors are wary. Still, financial data point to rising rates in the near future.